Five weeks into the semester, it is time for an update on my experiment in digital history pedagogy. 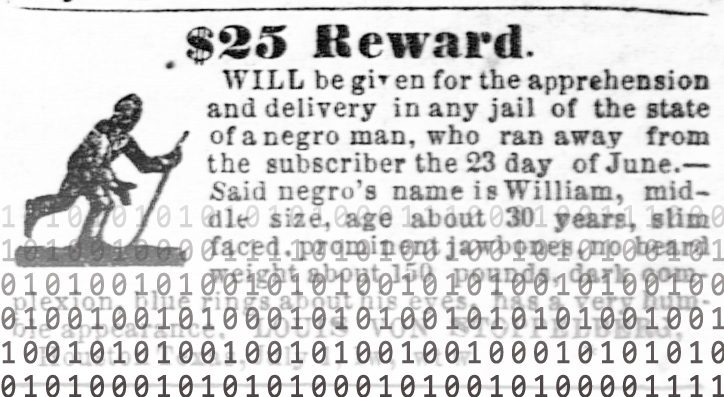 FWIS 167 – The Rise and Fall of Atlantic Slavery, a writing intensive course, uses tools in the digital humanities to explore the rise and fall of Atlantic slavery. You can access the course website at riseandfallofslavery.wordpress.com. Each week the students post brief blog entries on the readings and comment on at least two of their peers’ posts. We have had occasional guest posters who also contribute to the discussion and react to student questions. I am very pleased with how the blog posts have enhanced our in-class discussion. The students come to class with at least one clearly thought-out position on the readings, and through the student comments, we are able to pick up on conversations and debates that began online. While many of the posts are not as polished as I would have liked, the students are getting an opportunity to work on their writing (a stated goal of these writing-intensive seminars), they provide great teaching examples for our weekly writing exercises. For the remainder of assignments, the students have selected their own subtopic under the banner of Atlantic slavery. The student-selected sub-topics include economics, the Middle Passage, slave resistance, slave life, women and gender, and racial ideology. The students have also constructing a timeline of major events in their subtopic. Using TimelineJS through VeriteCo, the students plug information into a google spreadsheet and then have it appear in a really lovely timeline. You can access our timeline here. We have had some technical difficulties with the timeline, but a few techie friends managed to solve our problem with relative ease (just don’t ask me to explain how!). Using Tumblr, the students have also begun constructing their own primary source archive on their subtopic. The students have found documents using a variety of online databases and then have written short summaries describing the content and importance of the document. You can see the beginnings of their archives here. Future assignments include a historiography paper on a Wikipedia page, a Prezi on modern slavery, and a final paper using the primary sources the students have found in their archives. So far, I am pleased with the way the students have enthusiastically taken to these non-traditional assignments, and I’m excited to see how things develop. I will also be blogging about this experience at the Teaching United States History blog. Stay tuned for more updates. Love the timeline idea! Looks really slick.